Prestige Cruises International, the parent company of Regent Seven Seas Cruises and Oceania Cruises, filed papers Jan. 22 with the Securities and Exchange Commission for an initial public offering of about $250 million. The Form S-1 said the sale would take place “as soon as practicable after the effective date of this registration statement” and did not list the number of common shares, expected price or exchange on which they would be sold. The company said it would use the net proceeds to pay debts, for future capital expenditures and general corporate purposes. Oceania owns and operates five ships in the upper-premium segment — the three 684-passenger R-Class ships Regatta, Insignia and Nautica, and the newer 1,250-guest Marina and Riviera, which joined the fleet in 2011 and 2012, respectively. 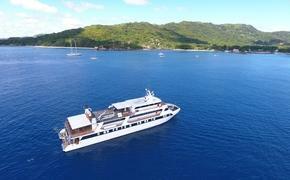 The line positions itself as the “affordable cruising alternative between the luxury ($500-plus per person, per diems) and premium ($150 to $250 per person per diems). Regent operates three all-suite ships — Seven Seas Navigator, Seven Seas Mariner and Seven Seas Voyager — totaling 1,890 berths. A luxury product, Regent offers an all-inclusive cruise that includes free air transportation, a pre-cruise hotel night stay, wines and liquors, gratuities, Internet access and unlimited shore excursions. 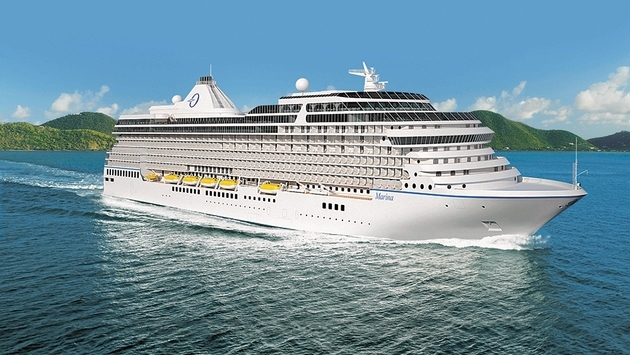 Regent is currently building a 750-passenger ship, Seven Seas Explorer, for delivery in the summer of 2016. The all-suite, all-balcony ship will feature designer suites ranging from 300 to 3,500 square feet, a space ratio of 89.3 and a crew-to-guest ratio of 1 to 1.4. The ship will include six open-seating gourmet restaurants, a nine-deck atrium, a two-story theater, three boutiques and a Canyon Ranch SpaClub. The filing says the ship will measure about 67,000 gross tons, larger than the 54,000-ton, 738-passenger vessel it announced last July. Prestige’s principal shareholder is Apollo Global Management, which also owns a significant part of Norwegian Cruise Line Holdings Ltd., which went public about a year ago. Apollo also has investments in other travel and leisure companies, including Caesars Entertainment and Great Wolf Resorts, and in the past has invested in Vail Resorts and Wyndham International.